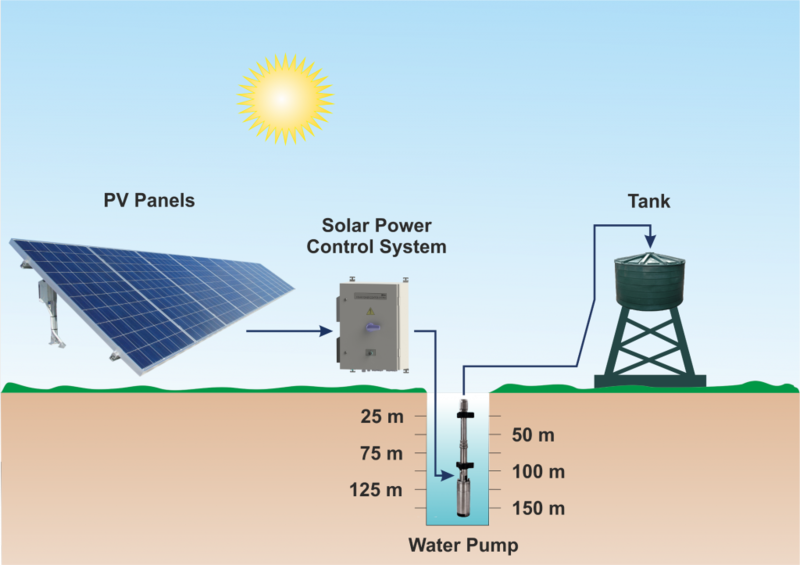 Solar Power Control System (SPCS) cabinets are designed to supply three phase induction motors in solar pumping systems. These cabinets are supplied from a PV array (Figure 1). The SPCS cabinet is for outdoor installation. After installation the cabinet could work in automatic mode and there is no need of additional adjustments. The system is compatible and easy to operate with different types of water pumps. 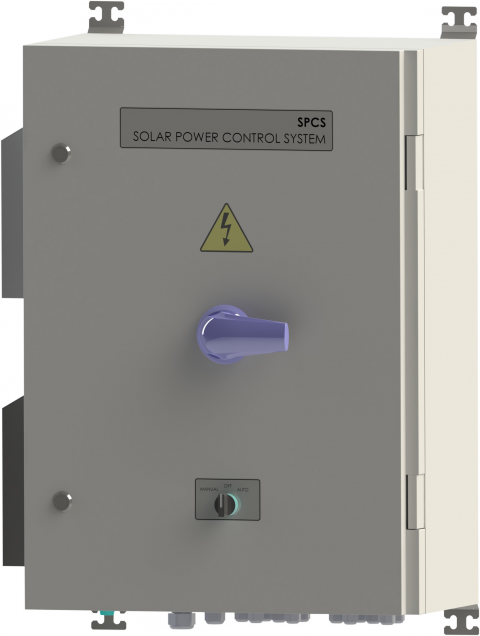 The SPCS cabinet includes Inverter module, PV side arrester, PV fuse holders, Main DC Switch and Control Switch. Optional there could be included communication module and water level control module (Table 1 – Technical parameters). The SPCS cabinet is for outdoor installation. Copyright © Electroinvent 2015, Ltd.